A comic-book series featuring another team of colorful soldiers during World War Two, much like Nick Furys Howling Commandos. The series ran from 1968 till 1970 with a total of 19 issues. 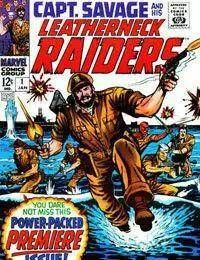 The titles under scribe was changed from Leatherneck Raiders to Battlefield Raiders with issue 9. The indica remained the same however.